The history of a coastline is built on the back of its fisherman and their catch. These brave men challenge the sea’s might to harvest its vast bounty. One such bounty that shaped the shoreline and its growth is the oyster. This bivalve quickly became New Jersey’s number one catch for fisherman along its southern coast. Thousands of bushels were pulled out of the state’s waterways each year, providing jobs for thousands of families. While disease and overfishing once devastated oyster populations, science and management has helped replenish the species and it is slowly returning to Eastern waters. In time, the oyster may once again act as an important part of the fishing economy and serve as a keystone species in the ecosystem. 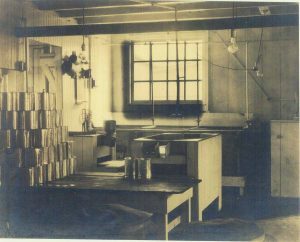 In the mid 1800s, Commercial Township, which included the cities of Bivalve, Shellpile, and Port Norris, was one of the largest oyster harvesting industries in the world. 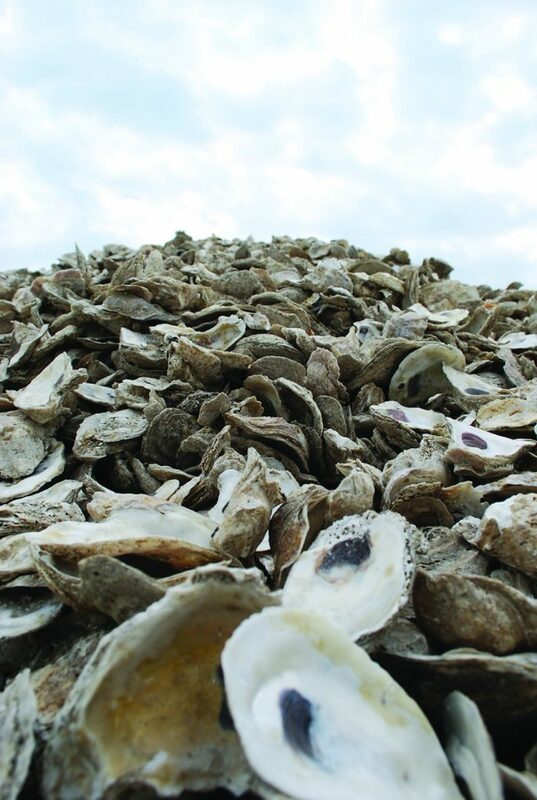 The Delaware Bay and Maurice River area pushed out over 1000 bushels a day of the prized sea creatures. The bounty of the river, however, was well known before the 19th century by the Native American tribes who settled in the area. Middens, or dumps, filled with oyster shells discovered by archaeologists, belonged to the Lenni Lenape who used them for food, utensils and trade. Later, Europeans and Scandinavians arrived and used the river for shipbuilding and agriculture as well as the oysters for food. By the 19th century, large wharves were built around the Delaware Bay to accommodate that crop of oysters and ships continually coming in to port. At 115 feet long, the Augustus J. Meerwald was the prize ship of the oyster catching industry on the New Jersey coast. Commissioned by the Meerwald family and built by Stowman and Sons Shipyard in Dorchester, NJ, this gaff-rigged dredge served as an oyster harvester from 1928 until the 1940s. In 1942 it served as a fireboat for the U.S. Coast Guard in World War II. By 1959, the Meerwald was outfitted for surf clamming until it was retired in 1989. After recovery and restoration, she was designated as New Jersey’s Official Tall Ship in 1998. 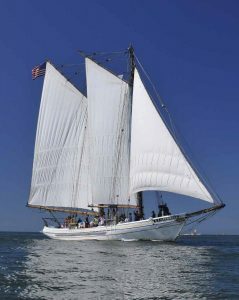 Today she is used by the Bayshore Center in Bivalve to educate visitors on the history of the state’s oyster fisheries. The oyster may be one of the most important species in New Jersey. In nature, animals that rely upon other animals to exist are known as keystone species. Just as the keystone holds up a stone arch, an oyster holds up their ecosystem. As a filter feeder, the oyster is constantly screening and pumping water through its shell, removing toxins as it feeds. The shells of the oysters provide the foundation for coral reefs that are home to thousands of fish species. Removing the oyster causes the whole system to break apart. Overfishing by the early fisheries partly lead to environmental disaster. Humans are not solely responsible for the oysters’ decline. Dermo disease or perkinsosis (Perkinsus marinus) is a parasitic protozoan that caused a massive decline in wild oyster management and fisheries. The parasite infects the young oyster and slows shell growth, eventually infecting the bloodstream and killing the animal when it blocks blood vessels. By reducing the amount of nitrogen-rich pollutants put into the water as run-off, the Dermo will have less chance to infect the oyster population. With rising sea temperatures from climate change, it may only be a matter of time before another outbreak occurs as the parasite thrives in warmer waters. There are many people fighting for oyster recovery. Management plans have made strides in bringing the oyster back to New Jersey’s waterways. However, the amount of oysters brought in by fisherman has drastically decreased from its heyday in the 1920s, from 1000 bushels a day to about 1000 bushels a year. This is mainly due to fisherman moving away from oysters for more plentiful catches in the wake of New Jersey’s own “gold rush.” Although it’s a slow process, there is hope for the industry to continue and once again flourish on New Jersey’s shores. ReClam the Bay (RCTB) on Long Beach Island, New Jersey is one organization helping to increase the oyster population. It was founded in 2005 by the Barnegat Bay Shellfish Restoration Project whose partners include Rutgers Cooperative Extension, NJ DEP Bureau of Shellfisheries, and The County of Ocean and the Barnegat Bay Partnership. Together they have planted over 4.2 million individual oysters. Spat is the industry term for baby oysters. First, the spat are raised in upwelling containers located on Cattus Island, Mantoloking, Barnegat Light, Surf City, Brant Beach and Beach Haven. Upwelling allows a constant supply of nutrient-rich water past the animals. The technique used for growing the oysters here on LBI is called “spat on shell.” The spat are introduced to a mixing tank where they “set” on large pieces of quahog, surf clam and oyster shells. One piece of shell can have a colony of 75 to 100 spat set on it. Once set, the oysters are introduced to the bay. According to Rick Bushnell, President and Co-founder of ReClam the Bay, “The single largest challenge for young oysters in the Barnegat Bay is habitat loss.” Nitrogen-rich waters from fertilizer run-off and atmospheric deposition, combined with a lack of other shellfish make it difficult for the spat to set. The nitrogen also causes algae blooms that choke out the sunlight needed to support the growth of the eelgrass, which the wild oysters use to set on. There is also a concern that the chemistry of the bay floor, after years of decaying algae and other input, might be inhospitable for life. 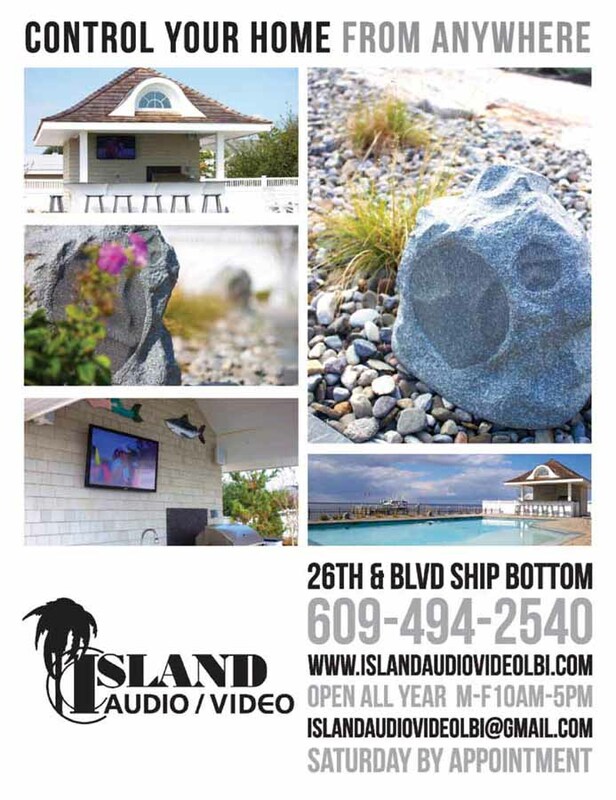 There are ways to save the bay, however, including changing our lifestyles. Riding bikes instead of burning fossil fuels, using less fertilizer, and planting a garden, since plants soak up nitrogen, can help the environment. Luckily, the need for an oyster market is starting to return to the Jersey coast, especially on Long Beach Island. “Seeing the success of the restaurants that serve oysters and the fact that the oyster growers say they are selling all they produce, the answer is yes, the market is returning,” reports Rick. Oyster farming is a “farm to table” venture that is becoming a lucrative and vibrant industry. This is proof that a well-managed fishery in the middle of a large population center such as LBI can thrive. If we take care of our local ecosystem, it may only be a matter of years, before there’s another “gold rush” of oysters to the New Jersey coastline. Special thanks to Jamie Warner, Marketing and Development Coordinator at the Bayshore Center in Bivalve, New Jersey (bayshorecentor.org) and Rick Bushnell, President and Co-founder of ReClam the Bay for their contributions to this article, and to Susanne Ricciardi for use of her oyster cans.